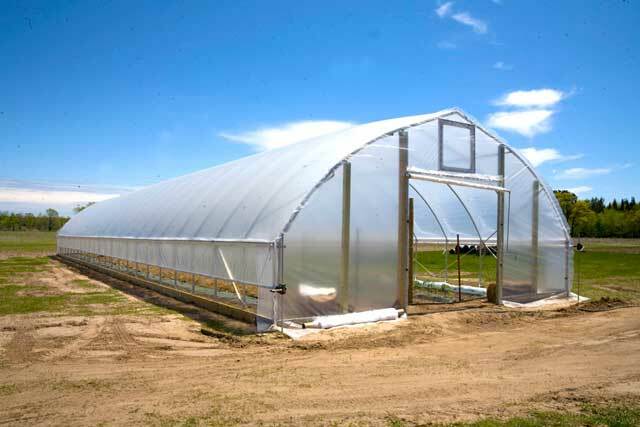 Gothic High Tunnel is designed with the small fruit and specialty crop grower in mind. 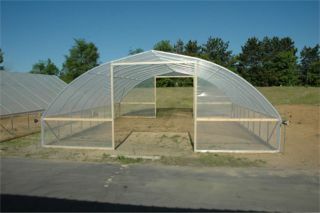 The frame goes up quickly and easily so you can get an earlier jump on the growing season. 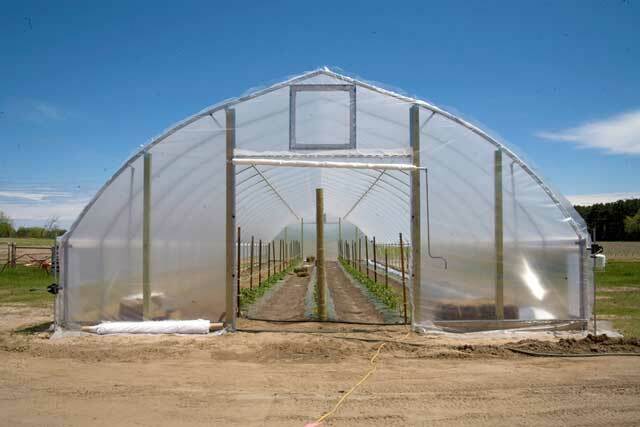 Durable roof poly and roll-up sides will provide an environment that will extend your growing season, protect your crop, and increase your yield and profits. 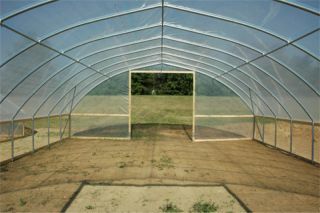 The High Tunnel is available in three standard widths and can be easily configured to meet your needs. Call today and start growing like a pro. Increase crop quality, yield and profits! 20'W , 24' W, 30'W. 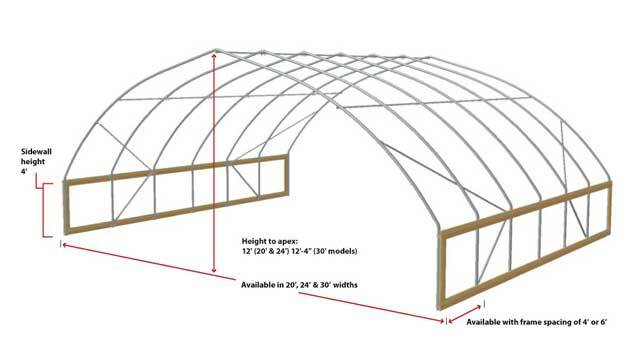 Frame only price includes: Five-piece frame sections, ground stakes, (2) purlin 20’ & 24’, (3) purlin 30’, (4) diagonal wind braces, cable bracing (gable style) peak bracing (gothic-style), ground stake driver, assembly hardware and a set up manual. Lumber not included.